If you were in an auto accident, determining the value of a car accident injury’s is an important step that should happen early on in your recovery process. After all, you can’t seek compensation for your financial losses if you don’t have an actual number to represent the financial impact of your injuries. To successfully pursue a claim related to personal injury, you will likely need to file a civil lawsuit to recover the damages and losses you suffered. As the plaintiff, you will have to request a specific amount of compensation when you file your initial lawsuit. The courts will then review the documentation related to your injury that you provide and determine if you should receive compensation and if the amount you requested is appropriate given the scope of your injuries. Some financial losses related to an injury are easy to calculate. We have created a personal injury calculator to help you quickly determine the value of your case. Medical expenses are relatively straightforward. You will have bills with an exact price, which make it simple to add up the medical costs. Your physician can also assist you in estimating future costs that you may incur for ongoing treatment. Depending on the nature of your injury, you may require medical intervention for many months or even the rest of your life. There may also be medical equipment or mobility devices that you require, as well as modifications to your vehicle or dwelling, which can be quite expensive. While there is no question that medical expenses are often significant after an accident resulting in injury, the amount of medical expenses you incur likely pales in comparison with your lost wages. A serious injury, whether it is a traumatic brain injury or a spinal cord injury, could keep you from returning to your job for the rest of your life. Even if you may someday be able to return to work, you will likely miss a significant amount of work in the immediate aftermath of the accident. “Can I sue for loss of income?” and worrying about if car insurance will pay for lost wages. The short answer is yes, and for many people, a combination of both forms of compensation is necessary to offset the full financial impact of an injury. 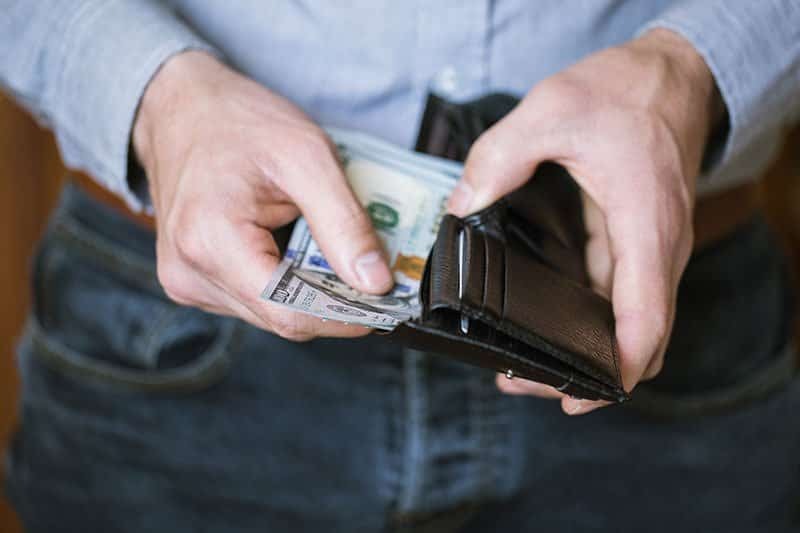 Regardless of whether you have a lucrative job or are self-employed, it is possible to obtain compensation for lost income. You will need to learn how to properly calculate lost wages to receive the financial compensation you deserve after an injury. What is Loss of Earnings? Loss of earnings is a legal term referring to the financial impact of not being able to continue working. As a working adult, you have spent years developing a career. You may have invested tens of thousands of dollars in college or professional education. You have likely also devoted many years of your life to working your way up in your professional field. If you suffer an injury that keeps you from working, all of that time and money you have spent to improve your earning potential may wind up wasted. Not only will you have to deal with the emotional complications of missing out on a fulfilling professional career, but you and your family will also need to adjust your lifestyles to reflect a substantially lower household income. Your loss of earnings can make the difference between the ability to pay your mortgage and the constant threat of losing your home. Every day that you are unable to work because of an injury represents a real financial loss for you and your family. You can determine your lost pay based on the amount of work you missed after an injury, up until you were able to return to work. Whether your injuries are permanent or temporary, you can pursue compensation for any amount of time in which you are unable to work as a result of your injuries. For permanent injuries, however, you will need to seek future earnings loss as well as current earnings you have already lost due to missed work. What is Future Earnings Loss? Permanent injuries that leave you unable to work in your chosen profession for the rest of your life results in both current and future or ongoing lost wages. In some ways, it is more straightforward for an individual to calculate lost wages over a specific period. For example, if you required surgery and six months of convalescent leave from work after an injury, it is not prohibitively difficult to determine the amount of income you would have generated in those six months. However, it can be much more difficult to determine the number of lost wages you will suffer if the injury is permanent. After all, the goal of professional development is to increase your income over time. What you make right now may not be what you make in three years. All of your education and dedication to your career was likely a result of your desire to maximize your potential income over time. In other words, your future earning potential may be substantially higher than what your current income was at the time of your injuries. Determining loss of future income becomes more complicated, as you must estimate the likely increases in revenue you would experience as a result of annual wage adjustment, to say nothing of potential promotions into management or executive roles that would carry much more lucrative compensation packages. Your loss of future wages may also need to include the loss of a pension or retirement fund. If your employer matches your retirement contributions, for example, that is also income that you will lose every year you cannot work. Even Social Security retirement benefits will wind up significantly impacted if you cannot continue to work until retirement age. You will need to determine all of those amounts to request the appropriate amount of compensation for a personal injury claim. Future loss warning can be a bit more difficult to calculate. If you were in an auto accident, our Fort Worth car accident lawyers can help you calculate your loss of earnings for your personal injury case. If you were injured in any type of accident, the attorneys at Hutchison & Stoy can help answer any of your questions. Fill out the free case evaluation form or give our office a call at (817) 820-0100. How are Lost Wages Calculated? For those with an hourly job, calculating lost wages is a relatively straightforward process. If you make an hourly rate and tend to work full-time, you would multiply your hourly rate by 40 hours worked each week. You will then use that figure to determine the full cost of lost wages by multiplying that by the number of weeks you will miss work. If you only missed six months of work, that will be roughly 26 weeks of pay. If you may never return to work, you will need to calculate lost wages for 52 weeks for each year that you will live. If you get paid on a salary basis, those calculations are even simpler. You can multiply your annual salary by the number of years or months that you have missed or will miss work as a result of your injury. However, just because the calculations are more straightforward does not mean they aren’t still difficult. You may need to use an online lost wages calculator to determine the exact amount of future earnings you have lost as a result of your injury. 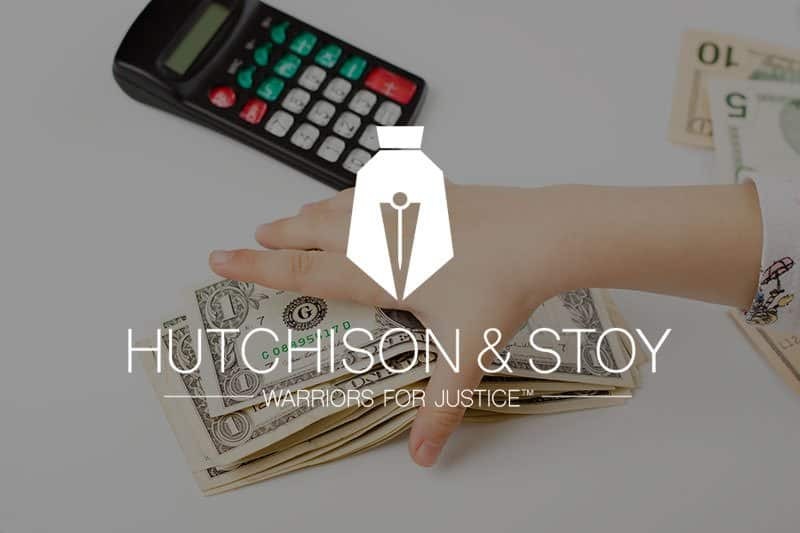 The Fort Worth personal injury lawyers at Hutchison & Stoy have created a personal injury calculator to help you calculate your loss of earning and give you an estimated value for your personal injury case. Calculating lost income for self-employed individuals can be a little bit more subjective, but that doesn’t mean it’s impossible. If you have a stable source of income, whether it is work for clients or sales as an independent business owner, you can look at the average income minus expenses that you have made and use that as a basis for your annual income. In other cases, your income may have been on the rise. Self-employed individuals often work at lower income rates for several years before their careers or businesses start to take off and generate income. Depending on your business plan and the success of your self-employment, it may be possible to see compensation for more than your income at the time of the accident if it is reasonable to believe that your income would have continued to increase. The personal injury calculator that is linked above, can also help self-employed individuals estimate the value of their case. 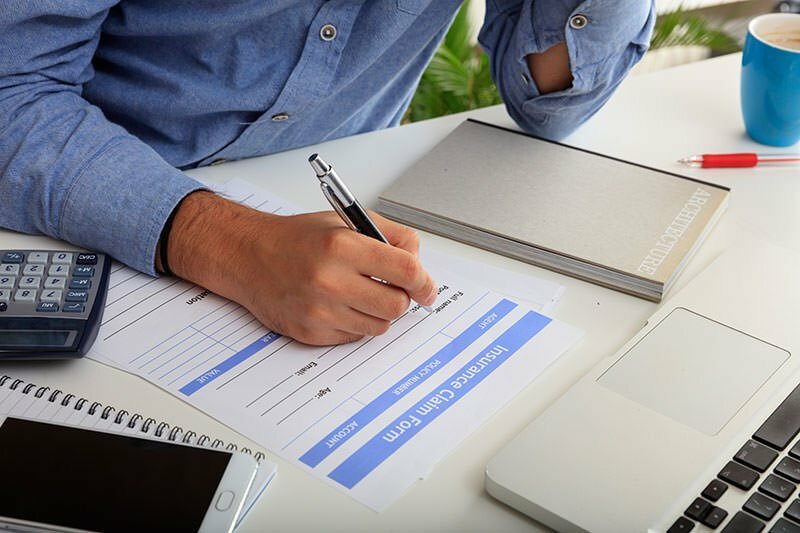 There are several ways for people to connect with the compensation they need to offset their lost income after a significant injury. You likely have health insurance coverage that will pay for at least some of your injury-related costs, although you may have to worry about co-insurance, deductibles, and co-pays. If you are unable to return to your job after your injury, you could also face the loss of your health insurance or the ability to pay your monthly premium. In other words, an injury that keeps you from working can also make insurance coverage more complicated. It is common for people in traumatic accidents, especially car accidents, to wonder if motor vehicle, professional, or premises liability insurance will cover loss of income after an accident. Most people mistakenly assume that their insurance provider or the insurance provider of the other party involved will unquestionably cover all of their expenses. While it is true that insurance will pay for lost wages, there is likely a cap to the amount you can recover through an insurance policy. Depending on your income and the medical expenses you will also have to file a claim for, you may not be able to recover even a single years’ salary from a standard motor vehicle insurance policy. While your personal policy may initially cover medical expenses after a car crash, for example, they will attempt to subrogate the claim by seeking repayment from the other party’s policy. Your insurance will not pay more than they can get back from the responsible party or their insurance policy. The less insurance the other party has, the less compensation you may receive through the policy. Thankfully, that does not mean that you cannot receive the compensation you are due after someone else’s wrongful act or negligence causes you injury and lost wages. It simply means that you will have to hold that individual or business responsible for the financial impact of the injury. You can do that by filing a personal injury claim for lost wages and other real damages you suffered as a result of the injury. Receiving adequate compensation for lost wages isn’t only an option for those who suffer injuries. It is also possible for surviving family members and dependents in the wake of a death caused by an injury or accident. Your family could file a wrongful death claim to seek compensation for lost wages if your loved one died as the result of an injury. Typically, for a wrongful death claim, you will need to demonstrate that the injury was the result of either a wrongful act or negligence on the part of the other party involved in the incident leading to injury. Whether your claim stems from a car accident or an injury suffered because of an unsafe facility, you can likely pursue compensation for lost wages that your loved one would have earned and contributed to your household. Understanding the true value of lost wages, especially for a skilled and educated professional with years of career advancement ahead of them, is not always easy. Working with a personal injury attorney who understands injury claims can help you find and estimate a reasonable amount for your claim. Determining an accurate amount is the first step toward getting the funds that you need to survive after an injury impacts your income and career. Our firm has more than 30 years of combined experience in trial law, offering representation and advice for those struggling after a serious personal injury. If you have any questions, call our office at (817) 820-0100 or fill out the free case evaluation form to talk to a lawyer today!